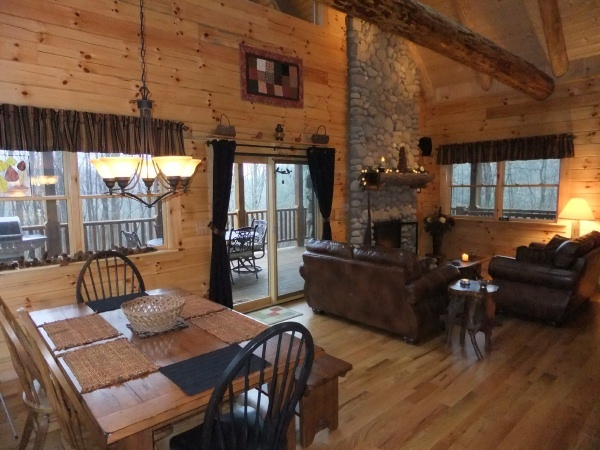 Come experience this beautiful custom three story luxury log home on twelve heavily wooded and secluded acres. Hand peeled timbers and many species of hardwood throughout. The perfect retreat for couples or families! Sleeps 6 comfortably. Three bedrooms, three full bathrooms, with towel warmers. Master loft suite with double tiled shower and private balcony. 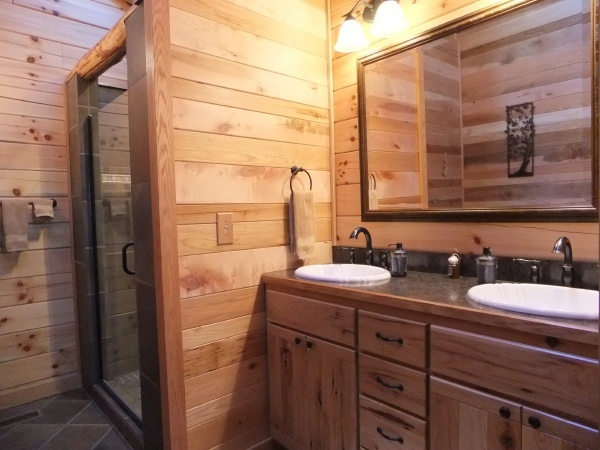 Full kitchen, custom log staircase, skylights, covered deck with ample outdoor seating and porch swing, gas barbecue, stone gas log fireplace, game room with pool table and Foosball table, DIRECTV, whole house sound system, WiFi internet access, hot tub, outdoor fire pit and back-up generator. Hiking path on property. Motorcycle friendly! New 3 story luxury log home on 12 acres. Master Loft Suite w/double tiled shower balcony. Half log staircase hand peeled timbers throughout. 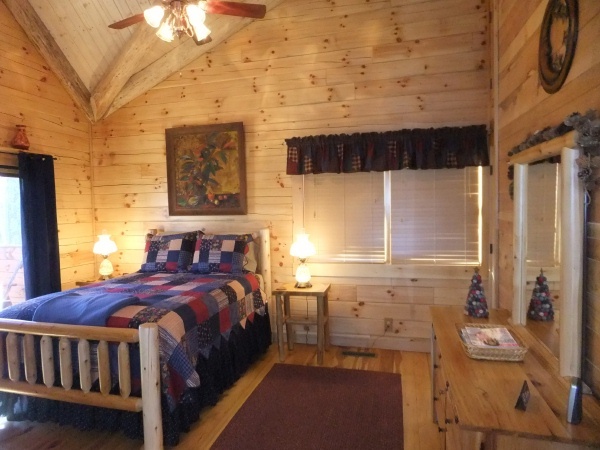 Sleeps 6, 3 bedroom, 3 bath, covered deck, skylights, full kitchen, BBQ grill, game room, hot tub fire pit.